We offer a selection of the experiences you can enjoy while staying at our house. A number of these experiences are available on the property itself, while others are close by. We can explain the attractive options available in the valley, and make a habit of offering advice and information about the activities you could try while staying with us. 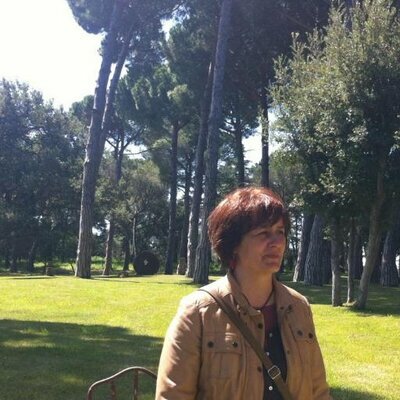 We also aim to tell you about events in the valley, activities, flora and fauna… We have so much to share with you. Be our guest! 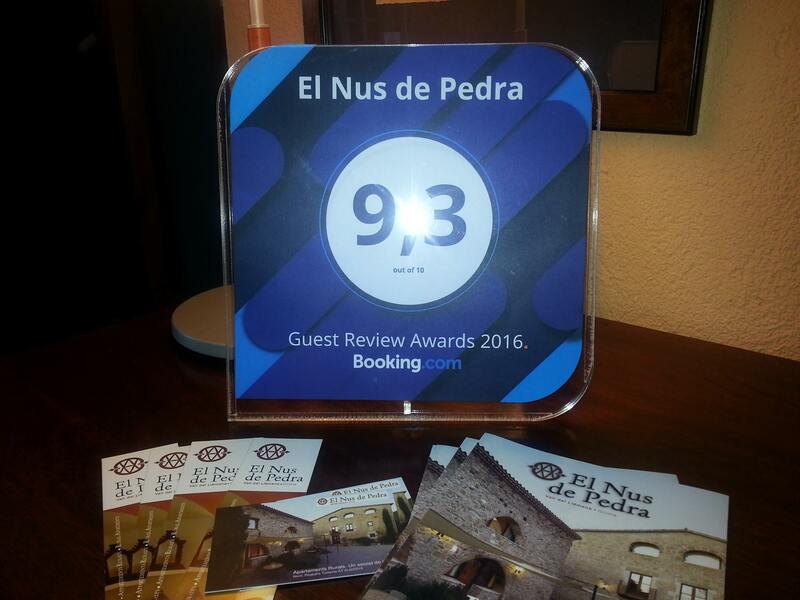 Nus de Pedra offers an idyllic setting for Nordic walking: the Vall de Llémena, one of the best-preserved natural spots in the Girona district, and just a short trip from the city itself. 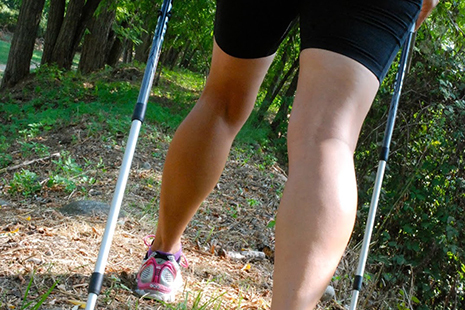 The beauty of the sitting and the gentle contours of its pathways offer the ideal conditions for Nordic walking, a form of exercise in which walkers use two poles specially designed for the pursuit to push themselves forward, simulating the motion of cross. country skiing. 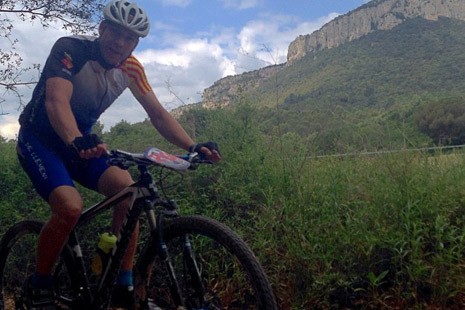 There are numerous outings and trails of different difficulties and lengths to explore around the Vall del Llémena. Rambling around the farmhouse along well-marked paths to enjoy the experience of hiking through the woodlands, gazing out over the meadows and enjoying the silence of the trees. Head into an unspoiled and beautifully preserved natural valley. We live right here in the valley and know all the less familiar nooks and crannies, so can explain half-day or fall-day outings allowing you to explore what is a unique setting. The valley offers a striking geological context (rocks, caves, volcanoes), with Romanesque shrines to visit in the heart of the woodland by following our directions. Great efforts have been made recently to signpost the paths, and so make life easier for ramblers visiting the valley. We have published guidebooks to show you the trails, and to help you decide which one best suits you in terms of difficulty and length, and your landscape interests. We can provide you with comprehensive and detailed information, and will never let you down. We can provide you with the opportunity and the ideal setting to learn how to photograph landscapes, flowers, rivers, pathways and the natural world in general. This is a workshop intended for those staying at the farmhouse and also wishing to learn about a natural setting and landscape that lends itself to acquiring photography skills. The workshop is held at the farmhouse itself, with your own camera and with the assistance of a professional photographer who will accompany and assist you, teaching you how to make the very most of your camera.You can learn how to take landscape and portrait photographs and apply different photographic techniques in a privileged setting full of landscape opportunities that will make the learning process all the easier, with personal assistance. This activity is staged at the farmhouse itself, with the photographer visiting the property to offer the workshop to those wishing to sign up. It is an ideal workshop to give as a gift to those interested in photography, or to attend as a couple, learning while you also enjoy the surroundings of the valley. The workshop (lasting 2 hours, with the possibility of an optional extension) allows you to learn different camera techniques and put your knowledge into practice. The workshop must be booked in advance, and can be staged with a minimum of 2 people. One opportunity we offer during your stay at our house is to enjoy gazing at the night sky. This is a novel and eye-opening activity in complete contact with nature. We boast clear skies free from light pollution and with panoramic views. 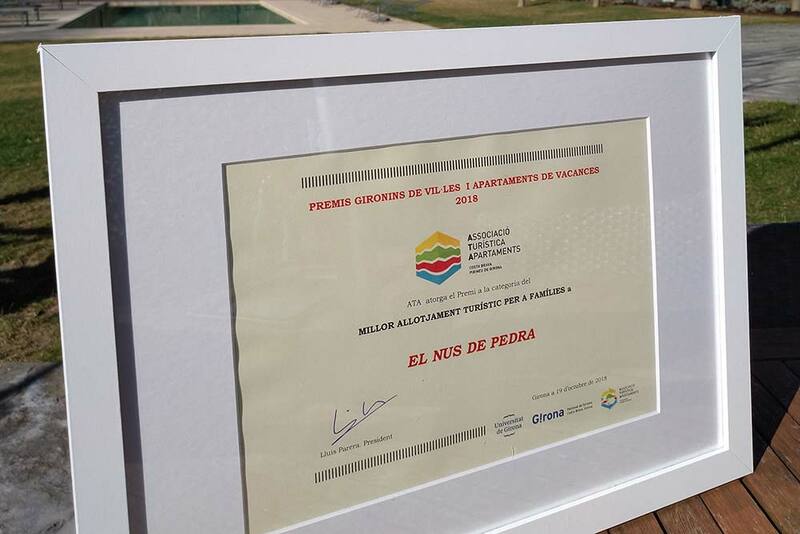 The activity is staged in the garden and the fields around the Nus de Pedra farmhouse. 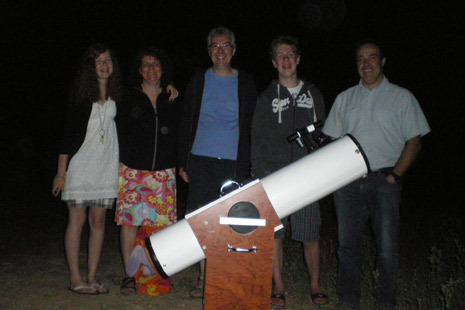 The workshop is led by an expert astronomy guide and can be adapted for small groups, couples and groups with children. 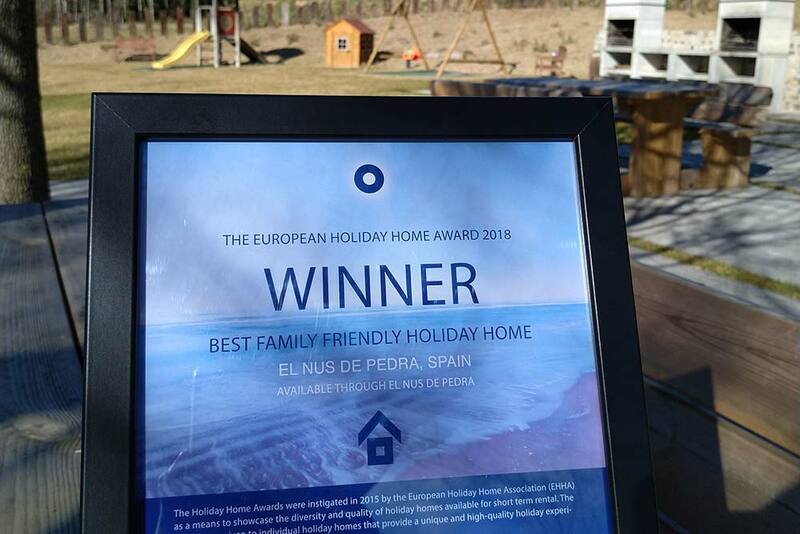 If you would like to give a stay at El Nus de Pedra as a gift, this is one of the additional activities you can include with your gift voucher. The number of people does not matter (the activity can be organised with a minimum of 2). The guide tailors the workshop to the group's level of knowledge. It lasts one or two hours, with a giant telescope offering an extensive view. (prior booking). 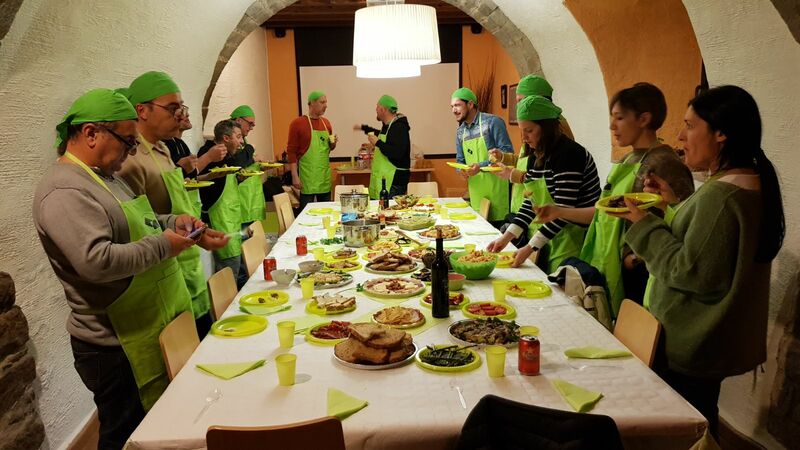 A wide culinary offering is available in nearby our accommodation. There are 5 restaurants within a radius of 5/10 minutes by car, serving home-cooked cuisine at affordable prices.  300 metres away there is a family-run restaurant serving traditional Catalan cuisine, with high-quality produce from right on the doorstep, and outstanding service. 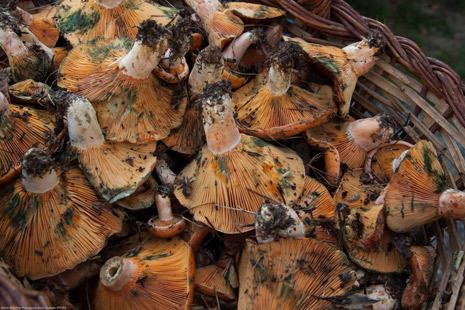 The cuisine of the Vall del Llémena is farmhouse cooking, based on stews, the produce from kitchen gardens, game and livestock, along with outstanding cured meats and recipes in which local wild mushrooms are very much to the fore. A culinary style nourished by the countryside and local know-how, and incorporating within the menu the produce of each season. The farmhouse offers the possibility of following mountain bike trails within the natural setting of the valley. Meanwhile, road bike lovers also have a wide range of highways with little traffic and circular routes that are ideal during your stay at the farmhouse. We can provide you with information about the easiest mountain bike trails taking a straightforward route across the plains of the valley along the old country lane, while there are also more challenging trails for which we can likewise provide full details. 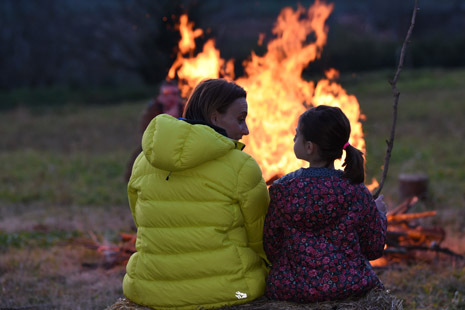 You can delight in the uplands of the Serra de Rocacorba, Serra de Finestres, Sant Grau and the Cingles de Sant Roc. We are fully familiar with all these routes and can offer extensive information. We have a garage where you can leave your bikes with complete peace of mind, waiting for you when you need them, and can also perform any repairs you might need. We have the necessary tools on hand for you to perform any bike maintenance. If you need, we also have information with maps and tracks of all the available routes. We have been rewarded with the Family Welcome insignia for 2012/2013/2014/2015. 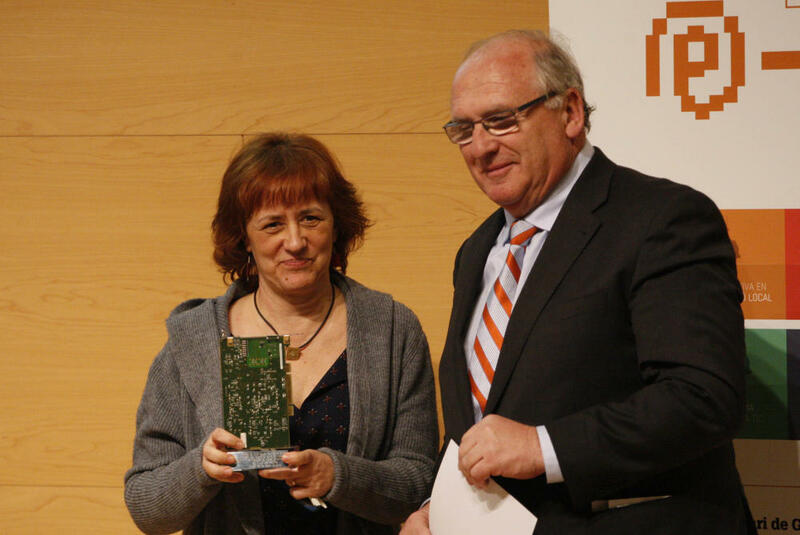 16 rural accommodation establishments have received this recognition in Catalonia, including ourselves. Family Welcome has rewarded us for the welcome and the services we offer families. The games room is known to be a particular attraction for all our younger guests, and undoubtedly their parents too. We offer highchairs, folding beds, children's play area, bicycles for small children, along with all the other services that have made us FAMILY WELCOME. 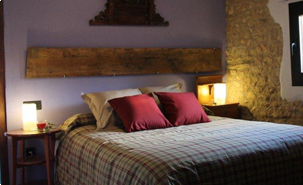 10 minutes away by car is the Hípica de la Vall horseriding centre, where you can go on a guided horse ride, with ponies also available for children.The facilities are in a delightful setting, offering a friendly and personal service. They can arrange woodland outings in groups or individually, taking in rivers and meadows, along surprising routes around beautiful sites. 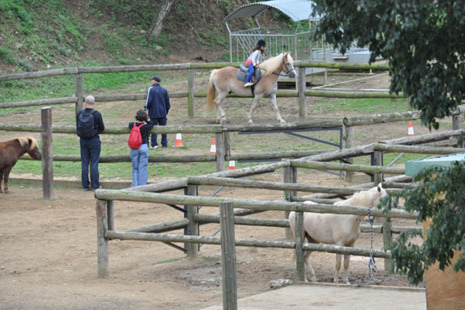 Younger visitors, meanwhile, can ride a horse at the centre itself, and enjoy time with the horses and ponies. We are in the process of environmental improvements on our premises. We have changed the swimming pool water treatment system, switching from our previous chlorine system to a method that treats the water with salt. This avoids the need to add any more chemical products to the water in the pool.